So right. 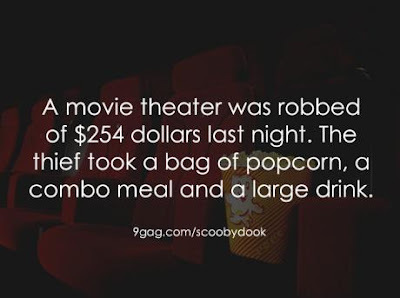 It's ridiculous how much the snacks at the movie theater sell for. But darn it, a movie just isn't complete without butter popcorn and a large soda.